Nice land mudder mursten hytte selvstændig. Vi har normalt babyfår til børnene sammen med chooks og llamas. Fugleture, se dyrelivet, eller bare at sidde og slappe af og kigge over saltvandspoolen i jorden. Vi er familie og kæledyr velkomne. Husdyr tilladt udenfor og efter ejerens skøn, men skal organiseres ved booking. Husdyr er ikke tilladt inde, medmindre forudgående arrangementer er blevet truffet. Der vil blive opkrævet et ekstra rengøringsgebyr. Vi har et overdækket område, der er knyttet til hytten for dem bare nødt til at bringe der senge. We had a wonderful stay here; kids loved it as well. We liked the layout of the house; it is just one large room with high ceiling but it was fantastic; as it get older kids out of their silo and it brings a family closer together and that was great. We had a relaxing time with some good physical activity thrown in at Warrumbungle National Park, Did the 13 Km Breadknife and High Top, not for the faint-hearted, It is tough in summer and need to take plenty of water; perhaps all the longer walks are best done in Spring. It is a different type of accommodation being one large room. Very comfortable and owners are friendly. Great value for money, and the best place to stay in Coonabarabran. First impressions lasted the whole 3 night stay. Everything you need is on hand. Perfect place to stay for stargazing in the evening. Huge open plan cottage. Great for couples or families. Well loved farmyard friends on site to visit at your leisure (if you are lucky you can bottle feed the sheep). Friendly caring owners that give you privacy if preferred. Safe, with all of the comforts of home. Fireplace and air conditioner. Dining, Full kitchen, Huge lounge area. Super comfy beds with layers of comfy fresh linen. Very clean and tidy. Lots of natural light throughout. Fresh Free Range eggs laid on site. Huge outdoor areas. Ample parking for large or multiple vehicles. Close to town, but far enough away. Excellent value for money, it's the best place to stay in Coonabarabran by far. 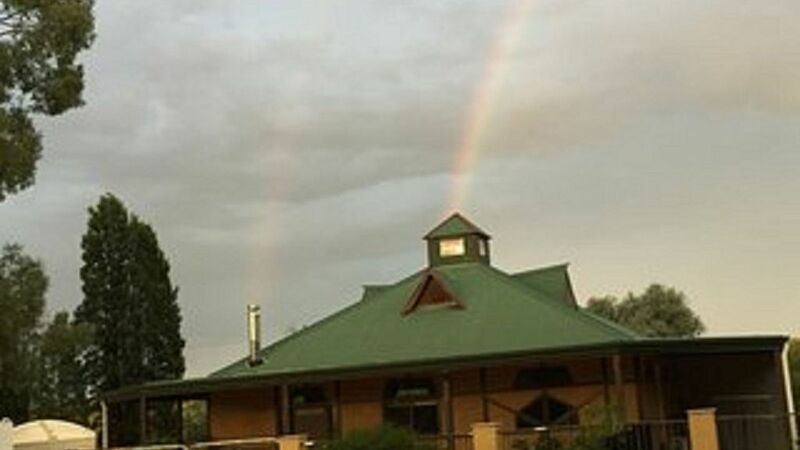 Coonandry is most definitely not a motel, it sits between farmland and forest, the of the property faces a stand of the most beautiful white gums. The accommodation itself is enormous but so well arranged that it worked perfectly even for one person. It way exceeded my expectations as did Wayne & Debra, who were terrific. I look forward to returning. We thoroughly enjoyed our stay, wish we could have stayed longer. Definitely hope to go back. Would recommend to anyone. Ideal location in the bush but only a very short drive to Coonabarabran and food locations, etc. Huge amount of space. Comfortable cottage and very friendly owners. Big verandah but could do with some more comfortable seating/table to enjoy sunsets or an evening outdoors. Overall a fanatastic spot to base yourself of the Waruumbungles and the Pilliga.